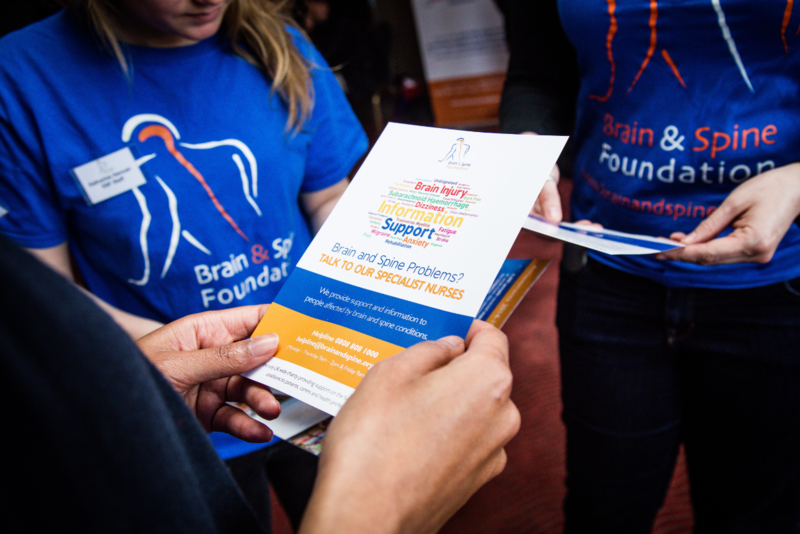 The Brain & Spine Foundation is the only UK-wide charity providing information and support for every one of the 350+ neurological disorders, which affect 12 million people in the UK. Our expert services are there for people at every stage, from first symptoms, diagnosis, treatments and in the long term. Neurological conditions and associated treatments are often complex and poorly understood by those affected and their families. Many people wait for a long time for diagnosis while living with ongoing symptoms and the anxiety of not knowing what the future holds. The Brain & Spine Foundation exists to provide information, answer questions, reduce anxiety and to inform choices. The charity is entirely funded by voluntary donations from our supporters; we receive no government funding. 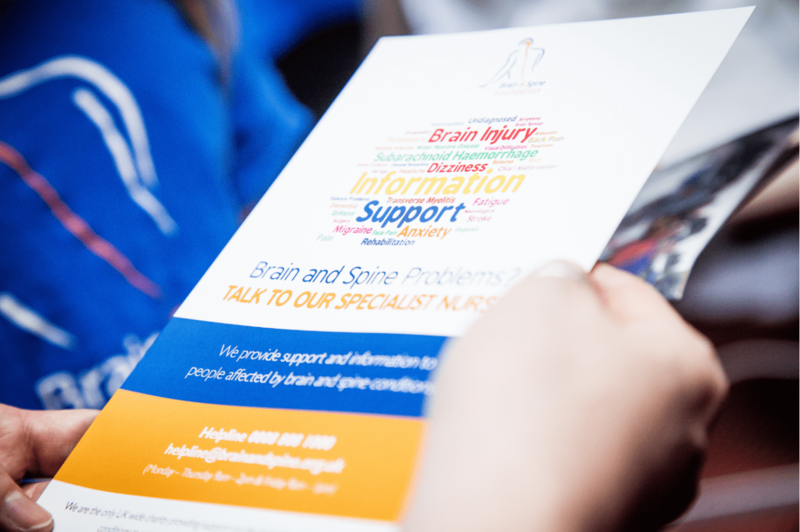 Our Helpline team provide tailored information and specialist support for anyone affected by a neurological problem. We’re here to help if you have questions about a neurological problem or concerns about a member of your family or a friend. We also support health professionals in their work, answering questions and signposting to patient services. You can either talk to us or email us for information and support. The helpline is confidential – If you don’t want to say who you are, that’s no problem. I called the Helpline and had an amazing chat with Eva, who gave me so much relevant information and delivered it with great patience and understanding. We provide over 25 informative booklets and fact sheets on different conditions, procedures and symptoms. Accredited by the NHS England's Information Standard, the publications are freely available online, by post and through our partner organisations. Our patient and carers events, such as conferences and workshops, provide the opportunity for people with similar health problems to meet each other and share experiences, as well as to listen and ask questions to expert health professionals and top consultants in the same space. In addition to our patient and carers events, we are investing in our relationship with health professionals by organising educational events and continued professional development opportunities in order to improve the quality of care and support received by neurology patients and their carers. Online communities are a great way for people to interact, share their stories and experiences and provide mutual support. We have set up a group for people affected by Chiari malformations and another space for people who have experienced a subarachnoid brain haemorrhage. We also have an online group on HealthUnlocked for people with any neurological condition - common or rare - to share their experiences in an anonymous and safe space. Our 2017-2018 Annual Review and Annual Reports and Accounts can be viewed below. We hope you enjoy reading about everything we achieved in the last financial year.